As little as we know about the future, for which we are preparing our children, it is clear that it will be a place that is governed by information. Accessing, processing, building with, and communicating that information will be a major part of our daily occupational, professional, and personal work and play. Being literate in this future will certainly involve the ability to read, write, and work with numbers. 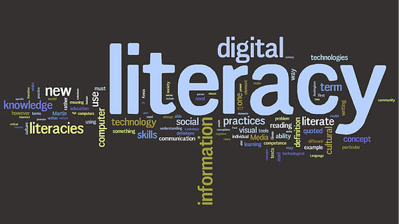 However, the concept of literacy — “the basics” — in an information-governed technology-rich world will be far richer and more comprehensive than the 3Rs that continue to define schooling for many. This enlightening and thought-provoking address will describe how our notions of literacy must expand to harness a rapidly changing information landscape where content and knowledge are increasingly networked, digital, and overwhelming. ”’The Nine Themes of Digital Citizenship, by Ribble and Bailey Now is the time for educators as well as other adults to begin to evaluate how they are using technology. Within this website are many examples of how educators can begin the process of teaching their students how to use technology more appropriately. These resources can be used by any adults who are interested in helping students better understand appropriate technology use.